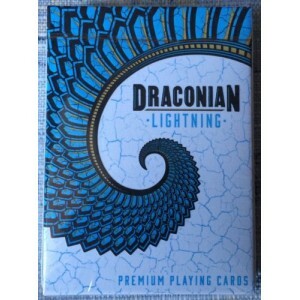 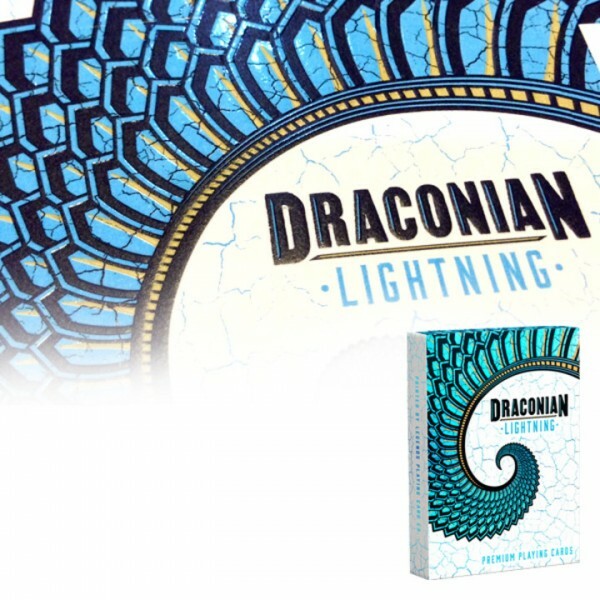 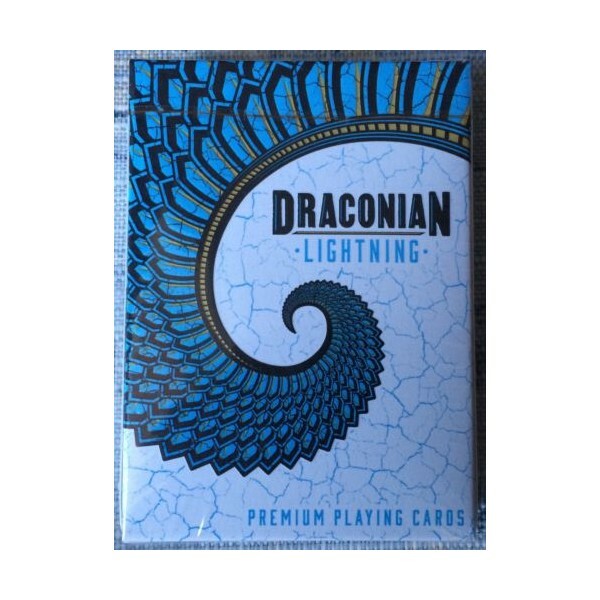 Inspired by the Dragons of lore, Draconian Spitfire are a premium custom Playing Cards. 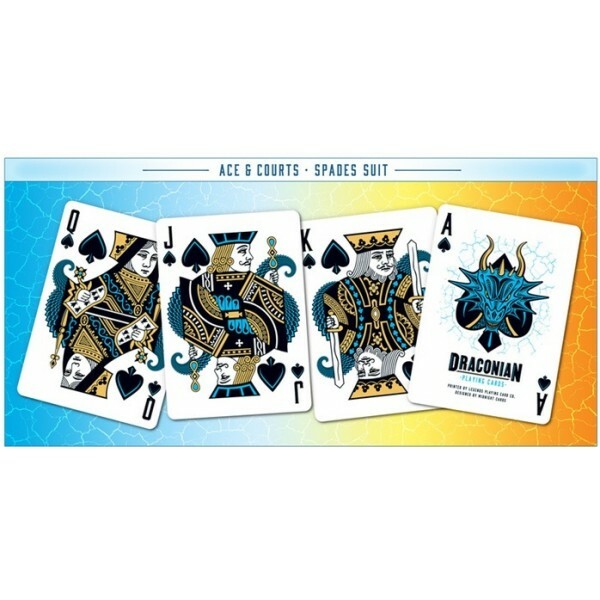 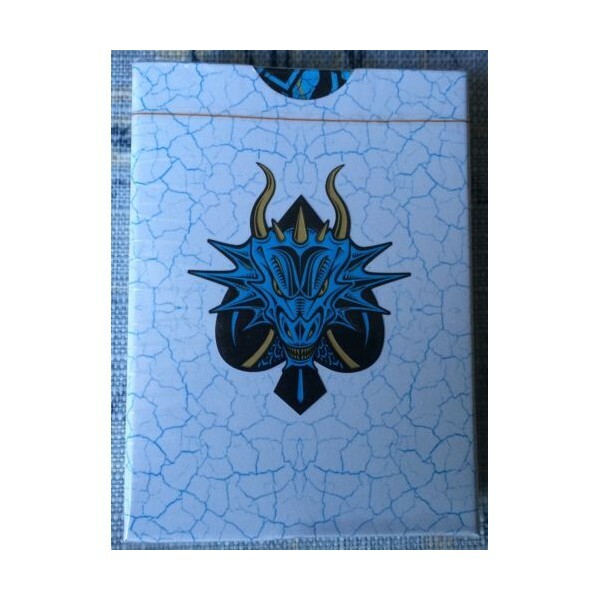 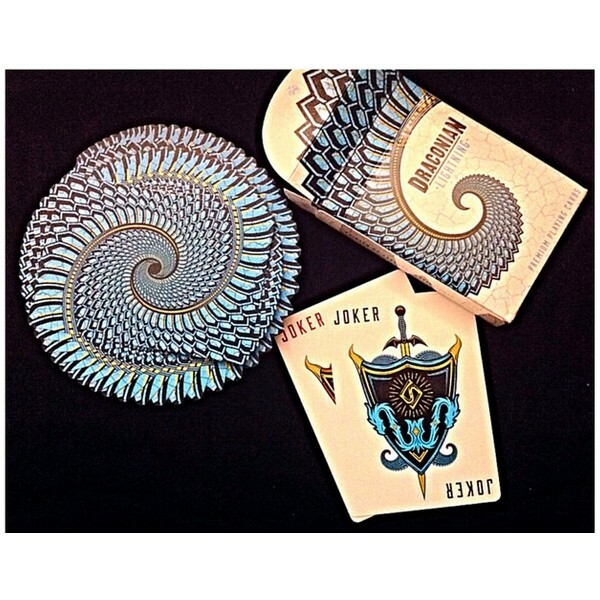 The Back Cards feature a Borderless optical illusion design formed from Dragon Scales. 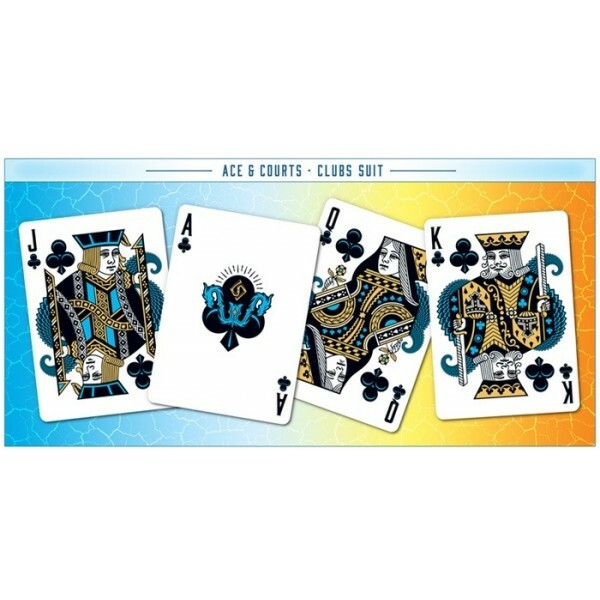 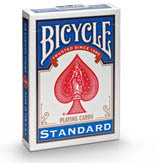 The Face Cards incorporate a clean design that keeps them very functional and provides the highest level of playability.